Did you know that every year, Americans use almost 3 trillion gallons of water and 200 gallons of gas maintaining their lawns? On top of this, 70 million pounds of pesticides enter the ecosystem after being used to eradicate weeds and keep lawns flawless. Thankfully, many Americans are moving away from the large expanses of lush grass toward eco-friendly yards with a more diverse landscape. Here are some ways you can make your own lawn more sustainable! Reduce the need for watering and mowing your lawn by replacing some areas with ornamental grasses and shrubs. These native plants require little maintenance and create the perfect habitat for local wildlife. If you're a little more ambitious, you could turn part of your lawn into a vegetable garden. Growing your own veggies is an excellent way to make your yard space more sustainable. Even simple fruit trees and fruiting shrubs, such as currants, look great amongst ornamental plants. Grab a comfortable pair of gardening gloves and get creative! Green Building Elements recommends landscaping to save water by focusing on drought-tolerant plant species and minimizing lawn space in your yard. Select your plants carefully by choosing native plants, which thrive in your climate without requiring extra water. Keep plants with greater water needs together so you don't have to water everything to quench a few thirsty plants. Installing soaker hoses and drip irrigation systems is the best way to deliver water to the roots of plants as opposed to sprinklers, which lose a lot to evaporation. You may want to hire a landscaper to help you out with your yard design and maintenance. Most American homeowners spend between $1,766 and $3,227 to hire landscaping help. In many cases, this is a small price to pay to cut down on water usage and create an inviting outdoor space. You may even want to create patios and pathways throughout your yard where you can enjoy a low-maintenance outdoor living space. can hold and move water the best. The best kind of dirt for your lawn will provide nutrients without the need for fertilizers, allows water to reach deep grass roots and has a varying mix of particles which allow roots to breathe and absorb water easily. Heavy, clay soils don’t absorb water well and instead cause it to pool and run off your lawn. Your garden center can give you advice on improving your soil. They may recommend aerating your soil by punching holes in it or raking dead moss off your lawn’s surface. 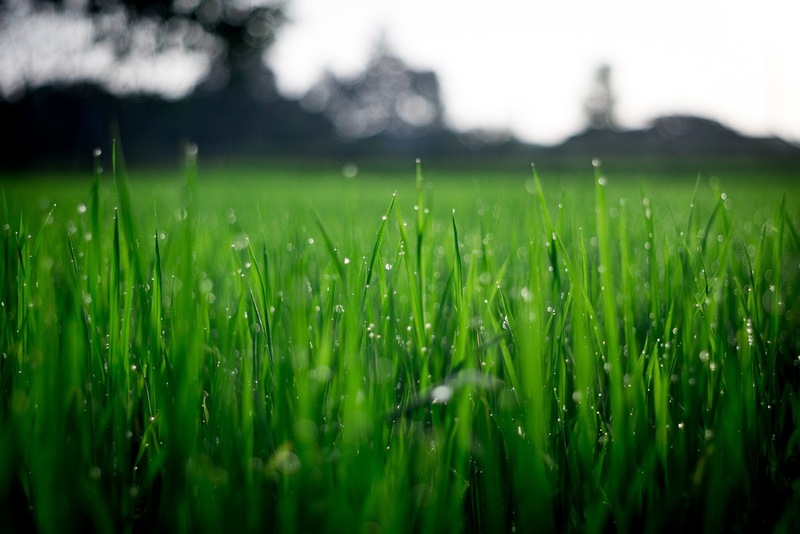 Next, reduce the amount of water your lawn needs by cutting it longer, at least 1.5 inches or higher. Also, make sure to water it deeply and infrequently as this will encourage a deep root system that is more resilient against droughts. You can even set up a water tank to collect rainwater off your roof to use on your lawn. These plants are well-adapted to your local soil and can thrive off the natural climate and rainwater in your area. Many native plants attract pollinators such as bees and butterflies, helping support them and the valuable work they do for us humans. effect on the environment. You don't have to rip out your beautiful lawn to be sustainable. All it takes to create beautiful, inviting landscapes is some water-conscious landscaping and eco-friendly lawn care.